Oscar’s Grind, like many other betting systems, works best with even money bets. It makes it an ideal method to use when playing roulette. The majority of people will use the system playing on red or black, although it works when betting on odd/even or 1-18/19-36 just as well. Is Oscar’s Grind the best betting strategy for winning in roulette? I review the system and give you the facts here so you can make a decision for yourself. In this article I examine the Oscar’s Grind system in detail, starting with an explanation of the system with some examples of the system in use. Then I’ll look at both the advantages and disadvantages of the system, before finishing with an overview. How Does the Oscar’s Grind System Work? Your original aim with this system is to win just one bet, of whichever stake you choose. Here is an example: You’ll start by betting on red or black; if the first spin wins –then great! You’ve achieved your aim and the system has been successful. But… It’s not quite as simple as this because you will obviously lose sometimes. Rule #1: When a bet loses – your next bet will be the same size. Rule #3: Stop – The moment you have an overall profit of one unit. *There is an exception here –if the bet size will give you an overall win of more than a unit, you will reduce it so that your overall win is just one unit. $2 Win $1 – Stop! $1 Win $1 – Stop! The first example was a completely straightforward one, where the rules were followed simply and easily. The second example follows these rules until the very last bet. You’ll notice that the final bet is just for $1 when you would expect it to be $5 having followed a win. However, at this point, you only need to win $1 to achieve your aim, so the bet will not need to exceed this amount. Tip: Make sure to read our recommendations about how to best manage your Roulette Bankroll. Oscar’s Grind is a system that is particularly resilient against long losing runs. 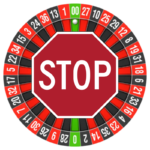 Other roulette betting strategies will increase the stakes every time you lose. This system does the opposite, and only increases the bet size when you win. As such, a run of ten straight losses will be completely offset by a run of four straight wins immediately afterward. Therefore the beauty of this system is in the fact that when the games become somewhat streaky, with runs of either losses or wins, you’ll come out having achieved your aim. Another strength of this system is that you can be in and out of the casino with a profit after just one spin. In the advantages, I highlighted how this system works when the runs of red and black are somewhat streaky. But now consider what happens when you have a run of alternate wins and losses. Every time you lose your bet size stays the same, but every time you win it rises by a dollar. You’ll notice here that after every win, you are in the same situation of being just $12 down. However, after every loss, the hole you are in is becoming increasingly larger, and you’ll need a run of two or more wins to get you out of the hole. In fact the system is dependent on having a run of wins, otherwise, you’ll continue in this manner until either the size of the loss or the size of the stake is too big to handle. Oscar’s Grind is a system which many players use, the system is somewhat conservative and able to withstand some truly awful runs (which cannot be said for the Martingale system for instance). Still, this system is dependent on these longer streaks and short sharp winning or losing runs are not ideal for this system at all. The house edge in roulette cannot be beaten, so any system used will always lose you money in the long run. However, using a strategy like Oscar’s Grind can make roulette somewhat organized and more enjoyable.